A series of chamber-music recitals in historic venues, featuring partners of the Team of Pianists in collaboration with local, interstate and international, guest instrumentalists and singers. Nine chamber music recitals held between April-November in heritage and other venues, under two concert series: Twilight Chamber Music at Rippon Lea; and C & C Rigg Bequest Classic Music in Historic Venues. 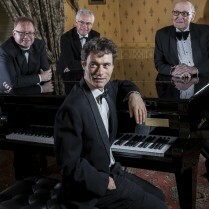 The concerts in 2018 showcase local and international artists: the four pianist partners of the Team of Pianists (Max Cooke, Darryl Coote, Robert Chamberlain and Rohan Murray), together with guest instrumentalists from the Melbourne Symphony such as Rohan de Korte (cello), sopranos Rebecca Rashleigh and Victoria Lambourn from More than Opera, along with other well-known musicians, such as violinist Elizabeth Sellars and oboist Anne Gilby.. The concerts provide audiences with an intimate experience of fine music in venues of the kind for which the music was composed, in the ballroom of Rippon Lea (National Trust), at Barwon Park (National Trust) and at Glenfern (National Trust). These “up-close” chamber music recitals provide a unique experience for audiences, professional performance opportunity, professional fees and publicity for the artists, as well as support for performances in venues outside established arts centres and tertiary institutions. Donations for any amount are accepted gratefully and will assist the Team in continuing to provide quality chamber music presentations in intimate venues. Apart from obvious costs such as artists’ fees, venue costs and advertising, donated funds may be applied also to items such as domestic airfares, piano tuning, programme copying, APRA performance licences, postage, or to enabling the Team to engage one or two extra performers for works requiring more than two or three musicians. 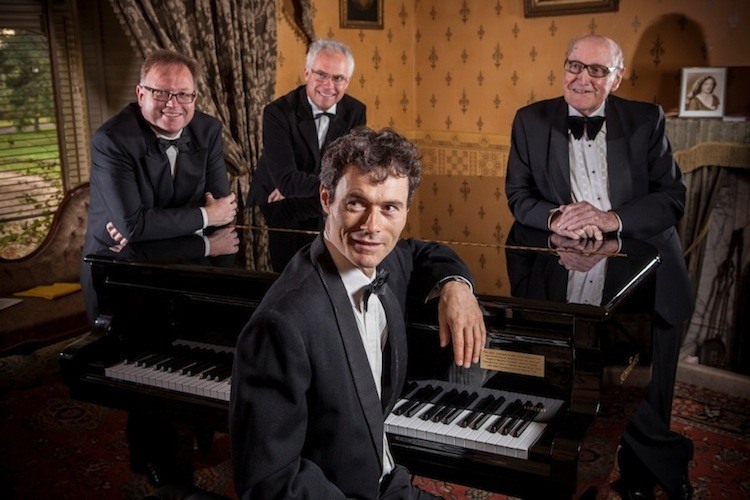 The Melbourne-based Team of Pianists has captivated audiences in Australia and overseas for more than twenty years. Acclaimed for artistry and professionalism in its many solo and chamber recitals, concerto performances, CDs and broadcasts, the Team is also committed to encouraging and promoting young musicians through masterclass programmes in metropolitan and regional areas alike. The four partners are Professor Max Cooke OAM, Robert Chamberlain, Darryl Coote and Rohan Murray. The Team has produced nine CDs covering a wide range of music, including a number of exciting, yet rarely recorded works, as well as two innovative videos and various publications on the art of piano playing and musicianship. The members of the Team are Artists-In-Residence for the National Trust of Australia (Victoria) at Glenfern, the National Trust‘s Centre for the Arts and Culture, in East St Kilda, where they present educational programmes including the annual Spring Piano School, professional development events, an annual Piano Marathon at Rippon Lea in late summer, as well as masterclasses by Australian and overseas artists.